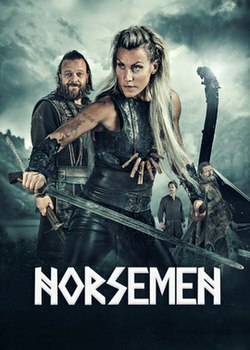 Norsemen is a Norwegian comedy TV series about a group of Vikings living in the village of Norheim around the year 790. It originally premiered in Norway in October 2016. The series is recorded in the village of Avaldsnes in Karmøy municipality, Rogaland, Norway, and it was recorded simultaneously in both Norwegian and English-language versions. An interesting premise that looks ripe for comic relief. It’s very Monty Python in style and tone. The trouble is, Monty Python was 40+ years ago so transplanting to modern television could be a problem. Initially there are some good comedic scenes, the one where a servant talks an executioner out of removing his head is very reminiscent of the ‘Bring out your dead’ scene from Holy Grail. Unfortunately they don’t keep up the pace, and by the end of the second episode it has the feeling of a second rate British comedy from the 1970s. I haven’t got any further.